AMAZING 2008 HUMMER H2 6.2L V8 4WD WITH REMOTE START, PREMIUM BOSE SOUND SYSTEM, AM/FM/XM RADIO, NAVIGATION SYSTEM BY GM, AUX AUDIO, LEATHER INTERIOR WITH CARBON FIBER TRIM , SUN-ROOF, REAR WINDOW OPENS, FRONT & REAR CLIMATE CONTROL, LEATHER WRAPPED MULTI-FUNCTION STEERING WHEEL, PANASONIC SCREEN FOR REAR PASSENGERS, DVD PLAYER, SPARE TIRE, TOWING/CAMPER PKG. 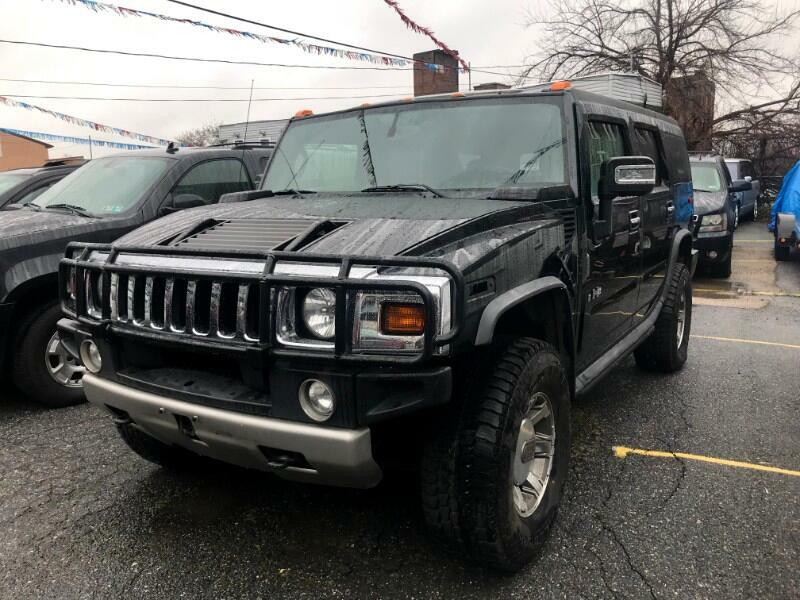 , WINCH,POLISHED ALUMINUM WHEELS, CAR MATS, AND MUCH MORE.....................WE FINANCE, BAD CREDIT NO CREDIT NO PROBLEM, APPROVAL IN MINUTES SAME DAY DELIVERY GUARANTEED CALL 215-288-5277...PRICE IS BASED ON $2,000 DOWN PAYMENT,PURCHASE OF THE EXTENDED SERVICE PLAN FOR 2 YEARS AND 24,000 ADDITIONAL MILES.......TAX, TITLE, REG. DEALER FEES ARE NOT INCLUDED.